From one of the world’s leading voices on white privilege and anti-racism work comes this collection of essays on complexities of privilege and power. 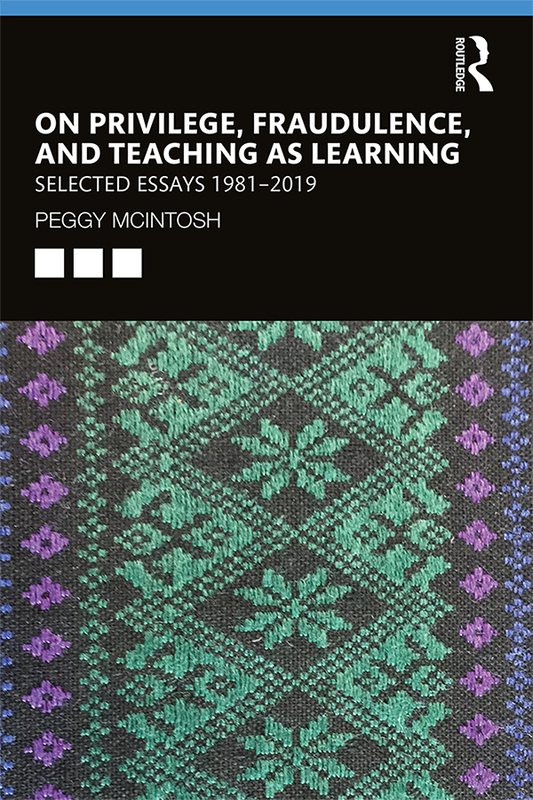 Each of the four sections illustrates Peggy McIntosh’s practice of combining personal and systemic understandings to focus on power in unusual ways. Section One includes McIntosh’s essays on privilege, or systems of unearned advantage that correspond to systems of oppression. Section Two helps readers to understand that feeling like a fraud may be produced by our hierarchical cultures rather than by any actual weakness or personal deficit. Section Three presents McIntosh‘s Interactive Phase Theory, highlighting five different world views, or attitudes about power, that affect school curriculum, cultural values, and decisions on taking action. The book concludes with insights from a peer-led teacher development project that leads individuals and institutions to work collectively toward equity and social justice. This book is the culmination of forty years of McIntosh’s intellectual and organizational work. Peggy McIntosh is Senior Research Associate of the Wellesley Centers for Women at Wellesley College in Massachusetts. She is Founder of the National S.E.E.D. Project on Inclusive Curriculum (Seeking Educational Equity and Diversity). She consults widely in the United States and throughout the world with college and school faculty who are creating more gender-fair and multicultural curricula.